Farmingville, NY - December 27th, 2013 - Supervisor Ed Romaine, Councilman Tim Mazzei and Councilwoman Bonner announced today that the Town will hold two special “post-holiday” residential shredding and e-waste drop-off events for residents to recycle their old paper documents and safely dispose of unused electronic devices. The events will be on Saturday, January 11 at Brookhaven Town Hall in Farmingville and Saturday, January 18 at Rose Caracappa Senior Center in Mt. Sinai. “Many residents will be getting new electronic items for Christmas and we can help them dispose of the old ones in a way that is not harmful to the environment,” said Supervisor Romaine. “These events will also give people a chance to clean out their closets, basements and garages to recycle their papers. It’s all part of the Town’s efforts to encourage residents to recycle more in the new year. Residents can also drop off old electronic devices all year round at the resident e-waste drop-off site at the Brookhaven Town Landfill, Monday through Friday from 7:00 am to 3:00 pm and Saturday from 7:00 am to 12:00 noon. Starting January 6, residents can dispose of their e-waste at the Manorville Compost Facility, located on Papermill road in Manorville. Drop off Hours are Monday through Friday from 7:00 am to 3:00 pm. Documents brought to the shredding event will be dumped into a 65-gallon container and then into the shredder, enabling each participant to witness the secure destruction of sensitive papers. Paper can be brought in boxes or bags. Documents can remain stapled together, but paper clips and other metal must be removed along with any other contaminants such as rubber bands. 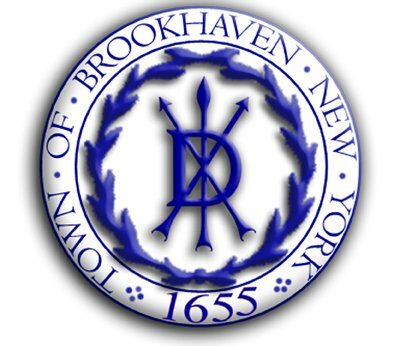 Brookhaven Town Hall is located at One Independence Hill in Farmingville and the Rose Caracappa Senior Center is located at 739 Route 25A in Mount Sinai. For more information about recycling in the Town of Brookhaven, visit www.brookhaven.org or call 451-TOWN (8696). Subject: LongIsland.com - Your Name sent you Article details of "Supervisor Romaine, Councilman Mazzei and Councilwoman Bonner Announce Residential Shredding and E-Waste Drop Off Events To be Held on January 11 & 18"